The Knysna Elephant Park was established in 1994) as the first facility in South Africa to house and care for orphaned African elephants. 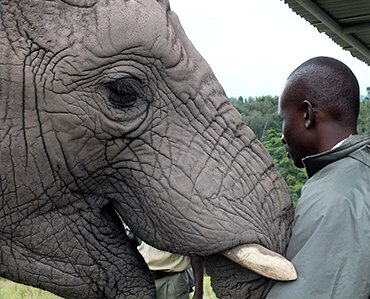 Over the last twenty years, the park has cared for and raised more than forty elephants. These elephant include relocated animals, orphaned calves, elephants rescued from culls and ex-circus animals. Some of them have become part of the resident herd, others were moved to other reserves and facilities in the Western and Eastern Cape provinces, depending on their personalities, bonds with other animals and welfare needs. At present the KEP herd numbers nine individuals, the largest domesticated matriarchal herd in the country. Guests are given the opportunity to get up close and personal with the elephants, and responsible and educational interactions allow guests to appreciate the awe-inspiring presence of these unique animals, but still give them the space and freedom to choose where they want to move, what they want to eat and who they want to interact with. There are no fences to spoil the close encounter and the environment encourages elephants to exhibit natural behaviours. 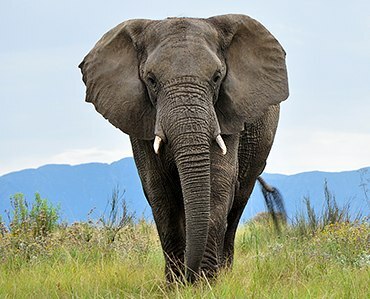 Visitors to the park are privileged to have a unique personal encounter with these gentle giants, and leave having gained a new-found respect for them, as well as a better understanding of the African elephant and its plight across continent. The Park is open 365 days a year, from 08h30 (Summer) / 09h00 (Winter) to 16h00 daily. Early morning and Late afternoon encounters are conducted at 07h00 (Summer) / 07h30 (Winter) and 16h00 by reservation only. Knysna Elephant Park is located just off the N2 between Knysna and Plettenberg Bay.